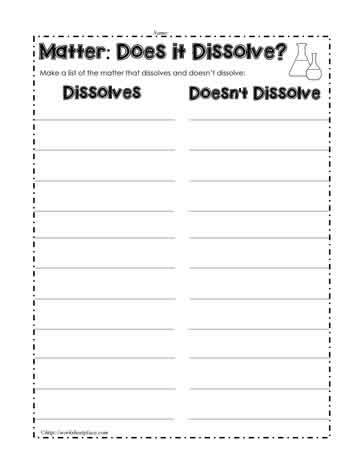 Predict what matter will dissolve and what won't dissolve. Use various temperature of water to determine if the temperature makes a different in whether or not matter will dissolve. Matter worksheet and changes of state worksheets for grade 1.